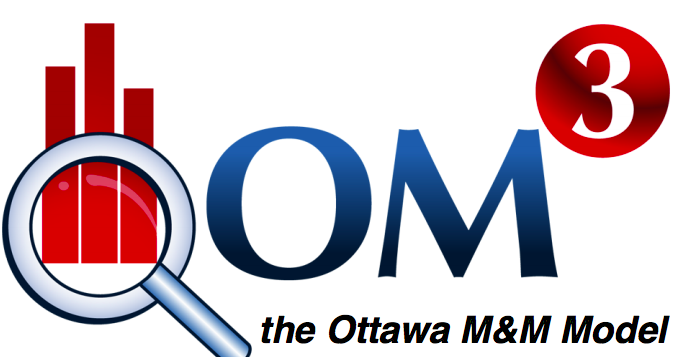 In the post, Dr. Edmund Kwok presents the Ottawa Morbidity and Mortality Model (OM3), and provides users with an helpful guide on how to implement change to effectively improve M&M rounds at any institution. Was it clear the purpose of the rounds was to discuss ways to improve quality of care for the next patient? Did I learn anything about patient safety? Were the discussions focused on ways to prevent future errors, rather than medical/surgical nuances? Was there a blame-free environment where all participants felt safe to openly discuss why errors happened? Did you leave the rounds with a concrete understanding of next steps and actionable items? If you didn’t answer “yes” to all of the above, you aren’t alone. Check out this editorial for a more detailed discussion around current inadequacies common in M&M rounds, and what the literature suggests for ways to improve. Not all cases are suitable for M&M discussion – some adverse outcomes are unpreventable. M&M time should focus on case where lessons can be learned. Presenters need to have a structured approach to case analysis when prepping for M&M rounds, as well as a framework with which to present and guide discussions around quality improvement and patient safety. Most physicians and residents have limited training in these areas, yet are often thrust into the role of running M&M rounds without coaching. M&M rounds are much more effective when they are multidisciplinary and inter-professional. Medicine today is practiced in a team-based approach, and all relevant team players need to be in the room for proper case discussion and potential solution design. There must be a formal mechanism in place to actually effect changes, and to act on the items arising out of M&M rounds. The OM3 has demonstrated success in improving not only our own M&M rounds over the years, but has had similar positive impact at different institutions around the world; they include hospitals in all provinces across Canada, as well as places like the Mayo Clinic in the United States, NHS in England, and King Abdulaziz Medical City in the Middle East. But we are not done! We recognize that not only is there value in analyzing cases of bad outcomes, but that there is also potential for learning from cases where things went exceptionally well. The concept of having Amazing & Awesome rounds was published by one of our own emergency physicians. Together, the OM3 collaborators have now designed a structured framework on how to present what we call “What Works” (W&W) rounds, focused on not only celebrating the great work we do, but to articulate why things went well and how it can be learned by others. Stay tuned for this new addition to the OM3! We have revised our OM3 materials from an initially research-based platform, to a much more user-friendly guide that can be picked up and implemented by anyone wishing to improve (or start!) their local M&M rounds. Click here for the OM3 guide, which summarizes all the key learnings we’ve gathered over the years. We have also been more than happy to visit local centers to help kick off their processes with grand rounds presentations, as well as teleconferences with local quality leads to provide guidance and advice. Feel free to reach out to either Edmund Kwok or Lisa Calder if you have any questions! Kwok ES, Calder LA, Barlow-Krelina E, Mackie C, Seely AJ, Cwinn AA, Worthington JR, Frank JR. Implementation of a structured hospital-wide morbidity and mortality rounds model. BMJ Qual Saf. 2016 Jun 29. pii: bmjqs-2016-005459. doi: 10.1136/bmjqs-2016-005459. Dr. Kwok is a staff Emergency Physician, director of quality improvement, assistant professor and clinical investigator at the Ottawa Hospital. Previous Post: Prehospital Advanced Cardiac Life Support for Out-of-hospital Cardiac Arrest: A Cohort Study.